Another area that can really distort the shopping process is comparing a "sight-seen" priced coin with a "sight-unseen" coin. 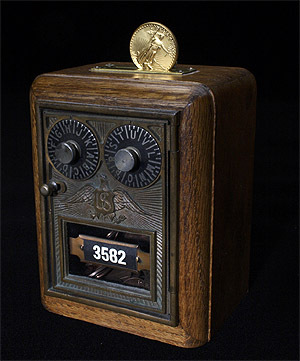 "Sight-seen" simply means that the buyer has had a chance to view the coin before he or she buys it. "Sight-unseen" prices are the prices that dealers will pay for coins they have never seen and have no ability to return if they don't like the quality or look of the coin. 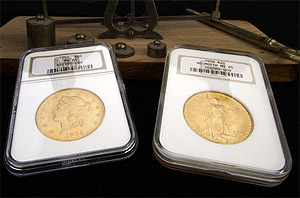 Simply put, sight-unseen coins are generally bottom-of-the-barrel coins that most reputable dealers reject--or generic coins that are just used to fill orders, without regard for quality. Many newcomers to the market will buy the lower priced coins and hold themselves out as the "real market" on coins. Baloney! Speak to anyone knowledgeable in coins, and they will tell you to always pay a little more and get the better quality coin. For years David Hall, founder of PCGS, would recommend only MS-65 or better. Why? Simple. He knew that you should always buy the best you can afford. Many times when comparisons are made, dealers are quoting sight-unseen (lowest price) against a sight-seen (highest price)-- making the client think he didn't receive value. When we made the distinction, all of a sudden, the coins are neck-in-neck on pricing. Also, I have personally seen coins from other dealers being compared to our hand selected coins that were down right ugly. In one instance, a coin offered by another dealer had so many copper spots that it sold for 15% below the current Greysheet (wholesale) price. Here are some very practical steps that can help you to determine that "the price is right," when buying or selling coins. 1. Always buy from a recognized national dealer or broker who has the experience of the ups and downs in the market. (A dealer with a minimum of a 20-year track record). 2. Be sure the coins can be bought and delivered at the prices quoted. In other words, don't just buy the quote, buy the coin. I can sell coins 10%, 20%, 30%, even 75% less than the other guy IF I don't have them. Make sure the dealer can actually deliver the coin at the price quoted. 3. Buy only sight-seen coins that have an inspection period. Have the option of exchanging the coin if you don't like the way it looks. Also, make sure that the coin you buy has been bought by the dealer on a sight-seen basis and has been inspected for copper spots and other detractions by at least two Numismatists. 4. Be sure the dealer offers you a two-way market. Be sure that the dealer will not only sell you the coin but buy it back. Closely examine the buy-back policy. Make sure the buy-back price does not vary on a basis of quantity. Also inquire on the time factor for repayment. Most reputable companies will settle a trade within 72 hours. 5. Truthful disclosure. Be sure the dealer has presented both the upside and downside risks associated with the coins you are purchasing. Short-term versus long-term positioning should be explained and understood.